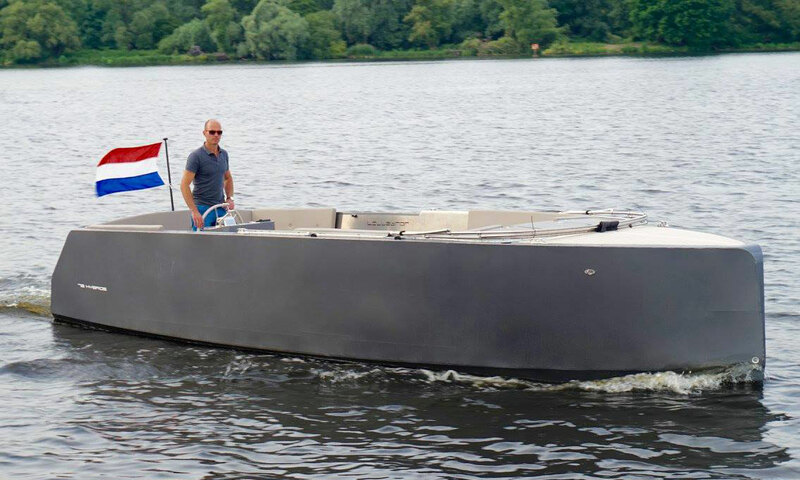 The Lillebror 78 Hybrid is an aluminium tender sloop, balancing maximal luxury with minimal maintenance. 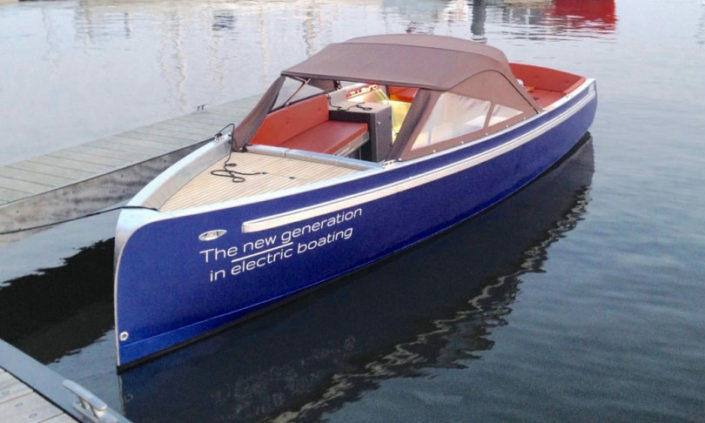 The boat is equipped with a strong diesel engine ánd offers the comfort of electric sailing, due to MG’s batteries. Whether sailing in carefree luxury or cruising in blissful silence, Lillebror truly offers the best of both worlds. A Lillebror is made for the future with an ode to the past. The Lillebror 78 Hybrid is an aluminium tender sloop of 7.8 by 2.5 meters, balancing maximal luxury with minimal maintenance. 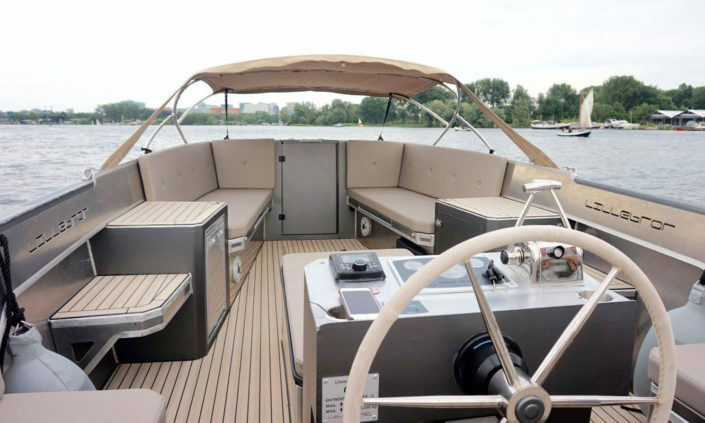 By default, the boat is equipped with a strong 4-cylinder 42 hp diesel engine, delivering a speed up to 25km/h. But it also offers the comfort of electric sailing. 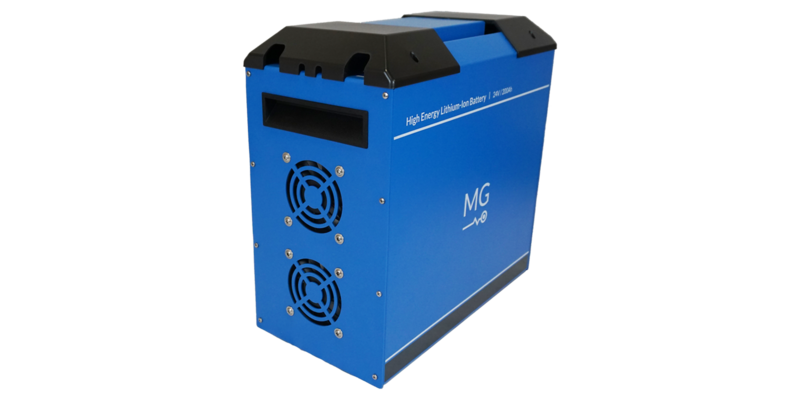 Due to MG battery modules, the hybrid model provides a smooth sailing experience for hours – without any sound. The diesel and electric propulsion both drive one propeller. Transmission between the two is specially tuned and silent. 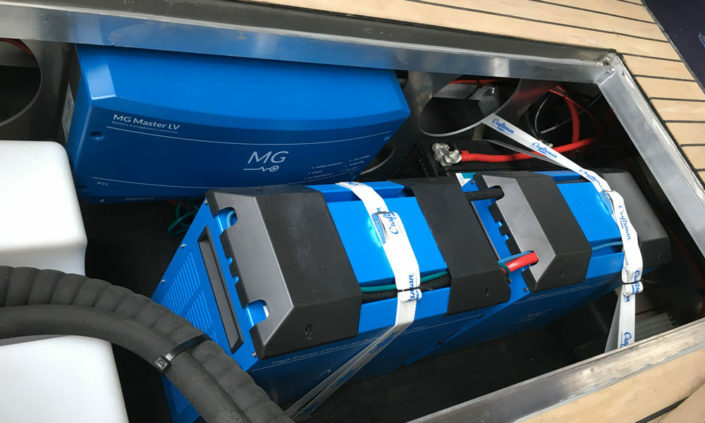 An integrated spray rail combined with a slightly spherical design ensures minimal bow and stern wave, thus reducing water resistance, lowering fuel consumption, while at the same time significantly increasing the vessel’s range. The Lillebror 78 Hybrid comes equipped with 2 MG Lithium-Ion HE battery modules, 24 V / 200 Ah, yielding a system voltage of 48 V and a capacity of 10 kWh, while only weighing 57,2 kg. Whether sailing in carefree luxury or cruising in blissful silence, the Lillebror 78 Hybrid truly offers the best of both worlds.